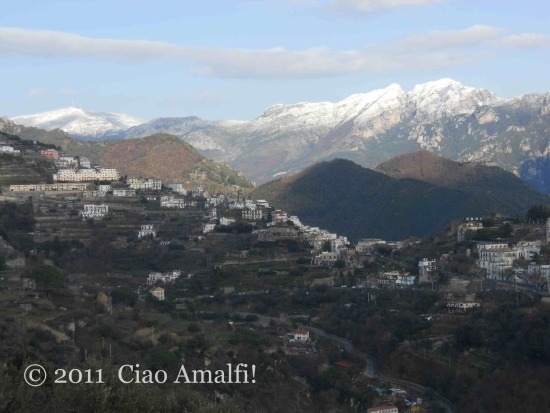 Recently, I’ve been writing about one of my favorite towns on the Amalfi Coast over at CharmingItaly.com – Ravello! While looking through my photos, this one that I took last summer while out on a boat caught my attention. 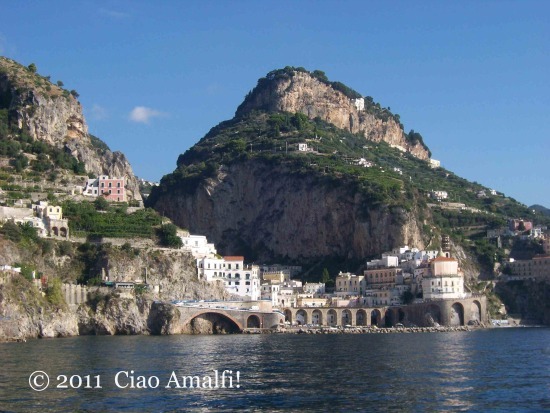 You can see the beautiful little town of Atrani, and, high above, the very tip of the promontory where Ravello sits. That white house clinging to the cliffside is the Villa La Rondinaia, meaning Swallow’s Nest, which was owned for many years by Gore Vidal. Follow the line of trees up to the left and you’ll see the Villa Cimbrone’s stunning Terrace of Infinity. I’ve stood on that terrace looking out to the sea so many times, but it’s fun to see it from the other side! 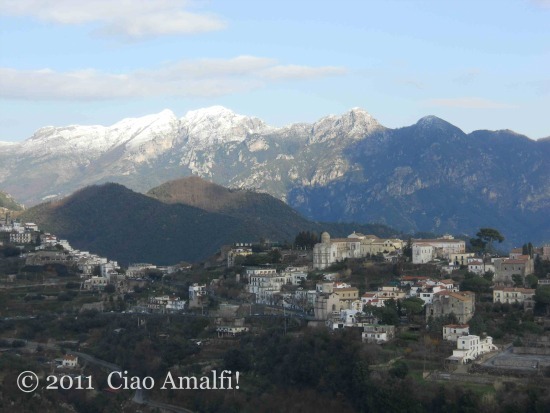 To read more and see more photographs, I invite you to read my articles on Ravello and on the Villa Cimbrone on Charming Italy! This morning I’m waking up in a different place, one that is both familar and foreign all at once. Parigi! (That’s how you say Paris in Italian.) 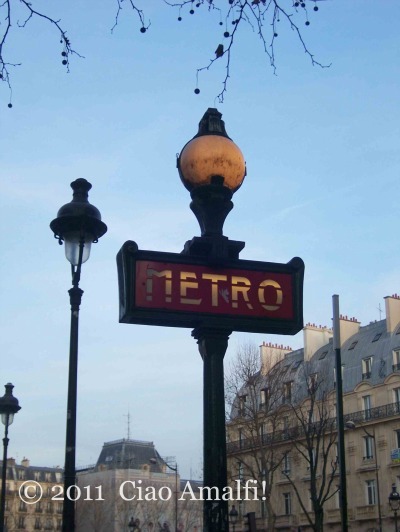 Last January I visited Paris for the first time with my boyfriend, and we loved it so much that we were thrilled when I had the opportunity to visit for work again this winter. Warm weather or cold, Paris is always a good idea! Last year we had a beautiful dusting of snow on our first night in Paris, and I’m excited to see what beautiful memories this trip has in store. A plus tard! Remember all the humidity I was talking about last Friday? 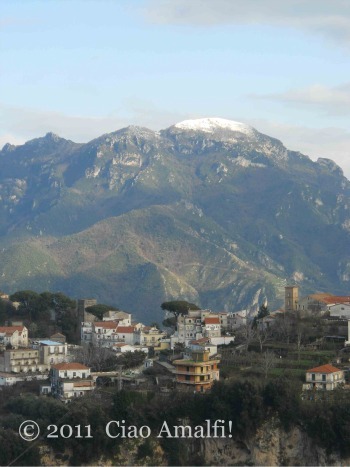 Well, over the weekend the north wind started to blow and temps dropped enough for the rain to turn to snow at the tops of the Lattari Mountains high above Scala, Ravello and along the Amalfi Coast. Isn’t it beautiful? 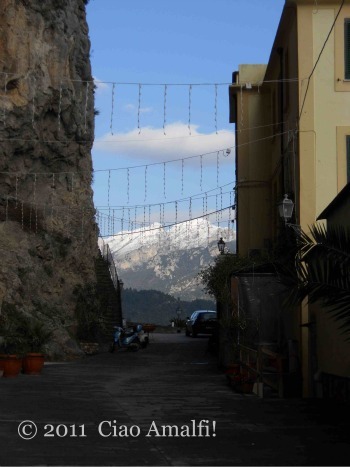 This afternoon I took a few photos while out and about, and I love how the white mountains echoed the white houses stretching out along Ravello. This was an pretty sight from near the Sanctuary of Ss. 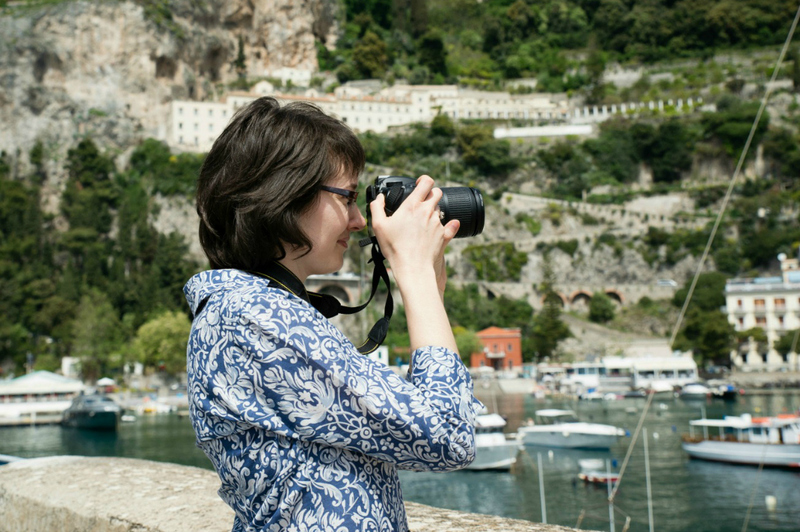 Cosma e Damiano in Ravello … and certainly not one that you see often on the Amalfi Coast. Look at those dramatic snowy mountains! It’s a little humid today on the Amalfi Coast. The windows of the house are covered with condensation on the inside and rain on the outside. 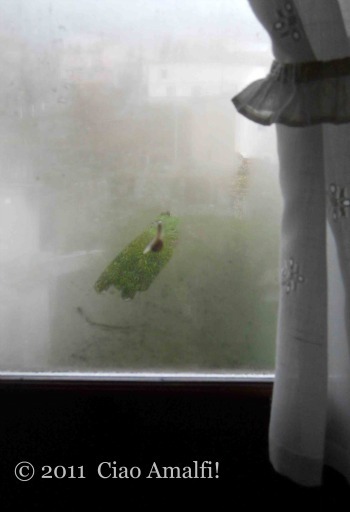 I noticed this little snail making its way across the outside of the living room window. Yep, it’s definitely a little humid today. One of the things every expat must learn is how to deal with missing those every day items that you love. Or, more importantly, figuring out how to get them where you live! As a tea drinker, I’m in the minority here in espresso drinking Italy. While you can find many different types of tea in the supermarkets, I haven’t found replacements for my favorite green tea and my favorite earl grey tea yet. 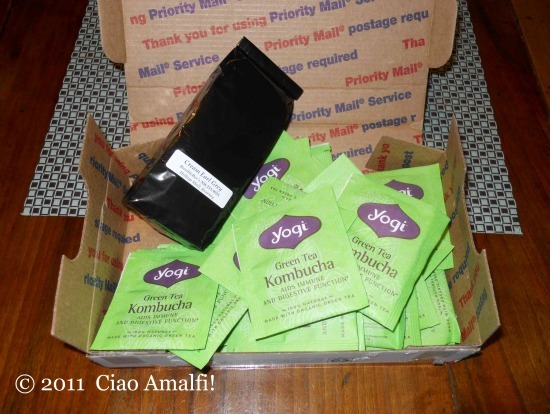 Last week, I used the last tea bag of the Yogi Green Tea Kombucha that I love, and I’ve been avoiding thinking about earl grey tea since my loose leaf bag was running woefully short. Imagine my joy today when I opened this lovely box from my mom stuffed full of my two favorite teas. Phew … just in time!